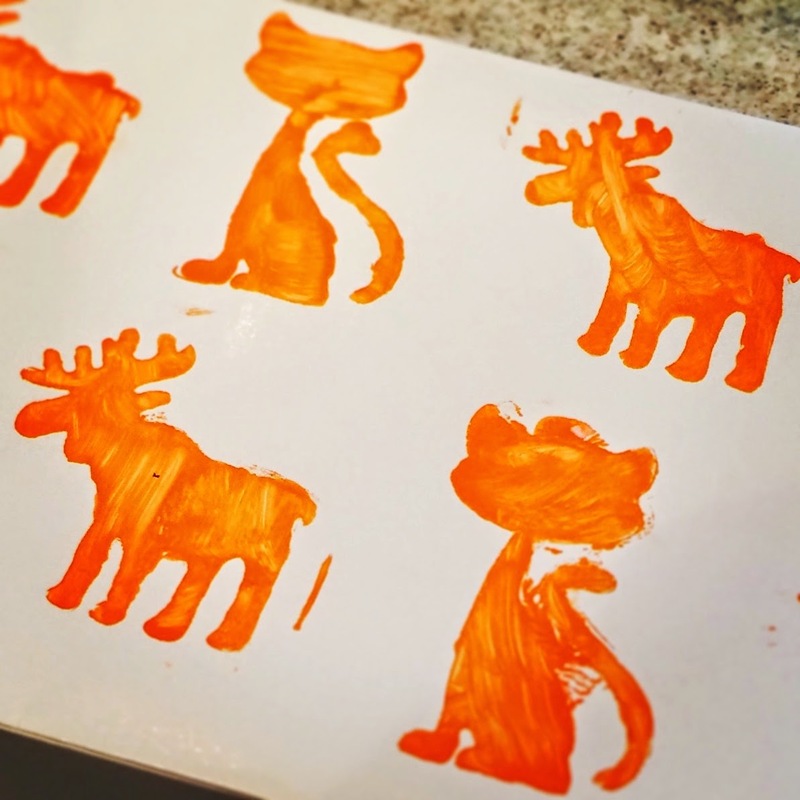 Ed recently bought me a gift and he hand-decorated the box with these cats and moose, using tempera paint and stencils. It was not Halloween-related. I'm saving the box forever. It's one of the cutest things he's made for me. And the color is perfect for today. The moose are scary, right? Sure are! Ed is an artiste in hiding.